Turn off SD Connect (Shutdown). Power off Star Diagnosis C4. Home » Services Star Diagnosis C3, C4 » Turn off SD Connect (Shutdown). Power off Star Diagnosis C4. Turn off SD Connect multiplexer Mercedes Star Diagnosis C4. Shutdown SD Connect C4. Regular (factory default) the power supply circuit not provided shutdown SD Connect. 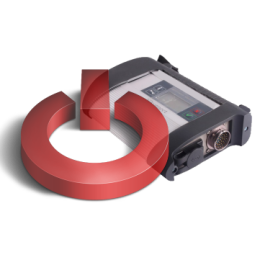 Despite the fact that the multiplexer SD Connect is a modern dealership diagnostic scanner, it has a drawback as the inability to completely turn off. Factory algorithm of the power diagram of the device provides only switching to standby. The current sleep mode is 10 – 190 mA . In this current expectations, the batteries are able to hold standby for 3 – 7 days. Next, the batteries are discharged below a critical level. When the battery has a charge below a critical level, they rapidly lose their capacitance. This is extremely negative impact on battery life. Thus the factory power supply circuit of the multiplexer expects to remove the batteries during long (without use) of the device. It certainly creates a significant convenience for the user. Some users to resolve this problem, install the additional mechanical switch to disconnect the battery. It requires breaking the integrity of the case and loss of appearance of the device. Also, the mechanical switch can cause accidental disconnection of the batteries while you work in not comfortable conditions. We offer installation “Shutdown” SD Connect without additional switches. Our solve to implement the shutdown mode multiplexer SD Connect does not require installation of additional switches or of any other breach of the appearance of the device. Shutdown mode implemented at the hardware level. This means that after modification, shutdown mode allows you to switch off the device via buttons of display panel. The device turns off (shutdown) as well as switching to standby before modification (in factory power diagram). Subsequent activation occurs during connect to external power supply. That is, when connected to the vehicle diagnostic connector, the instrument automatically activated. At the same time included internal batteries. Thus, as you see, the Shutdown mode makes the operation with multiplexer more convenient. It is no need to remove the batteries after work any more. All presented on the website multiplexers SD Connect C4 have Shutdown mode.